An 18-year old Miami University student is facing charges for allegedly breaching the school's computer system to change grades for himself and four other students. 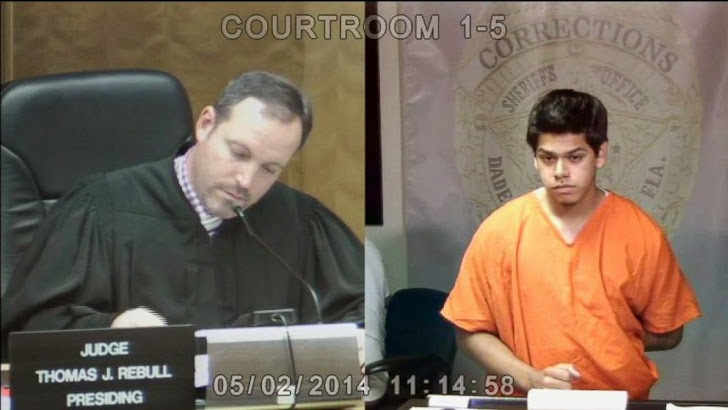 Jose Bautista appeared before a judge Friday after he was arrested Thursday by the Miami School Board Police after the principal of Dr. Michael M. Krop Senior High School turned him in, after the student reportedly gave him a written confession. The principal claims he obtained a written confession from the student. "It's not fair to the people that really try," said Mayan Dehry, a student at Bautista's school. "Like, I know a lot of kids are in AP classes, and they try really hard to get the grades that they get. I don't know, if you're just going to be lazy and then change your grades, that's not what learning is about." A fellow student Brett Curtis said Bautista's actions are not representative of the majority of his peers. "We have almost 3,000 kids here who come to school every single day, who work hard for every single grade that they earn," he said. The teen faces four counts of offenses against intellectual property, public records exemption, and four counts of offenses against computer users and all counts are felonies. His aunt and grandfather told media, he is a hardworking student and a good kid. "I'm sorry that it happened, but I know that these are super smart kids here and young people are young people. I don't know that child and I'm sorry that he did that." they said. On Friday, he remained behind bars and next day he was released on a $20,000 bond. According to the court ruling, he will be on house arrest and will be required to wear a GPS monitor.